Homepages are built with the regular WordPress page and a combination of shortcodes as content. You can create unlimited pages and select any of them as you homepage. To create a new page go to Admin -> Pages -> Add New Page -> Add content and click Publish when you’re done. Make sure that Default Template is selected in the Page Attributes panel. 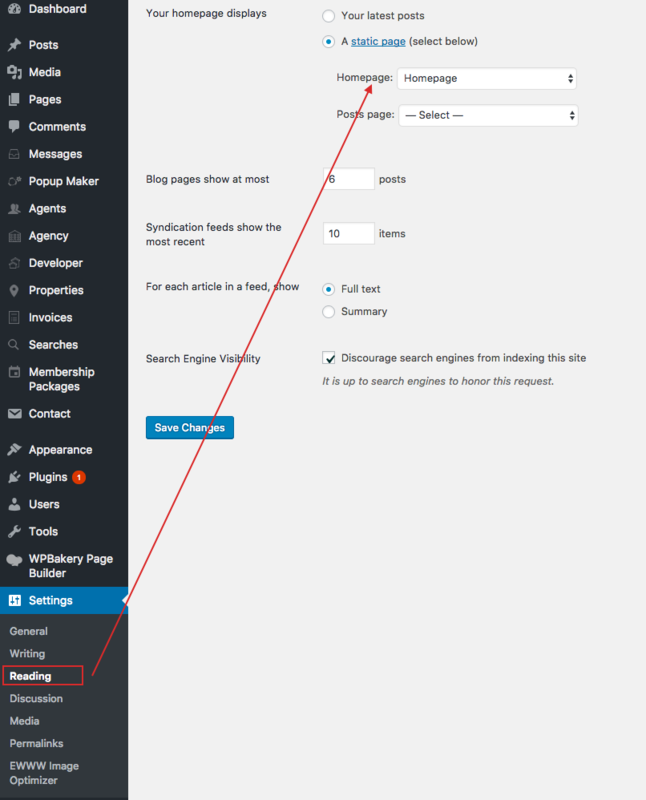 After you create the new page, go to Settings -> Reading and check the static page option as “Front page displays”.Then select the name of the page you’ve already created and hit save. 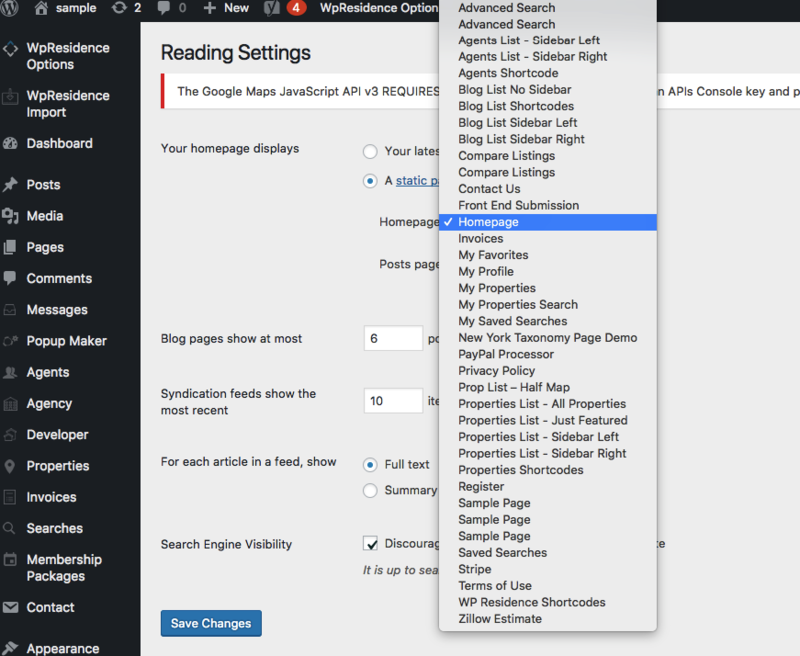 DO NOT SET ADVANCED SEARCH RESULTS PAGE AS HOMEPAGE.